State of Our Workforce: Western NC Analysis has launched! The State of Our Workforce: Western NC Analysis has launched as a regional analysis to study workforce and employment challenges in 10 surrounding counties. The State of Our Workforce: Western NC Analysis is part of a statewide initiative organized by the North Carolina Chamber Foundation, powered entirely through regional efforts. RTI International will survey businesses in the region until September of this year. The first State of Our Workforce regional analysis was conducted in the Triangle in late 2017. The study found that employers in the Triangle expect to add up to 37,000 new jobs through 2020, but they still have serious concerns about finding the right talent. The analysis was a partnership between the Capital Area Workforce Development Board, City of Raleigh, Greater Raleigh Chamber of Commerce, Wake County Economic Development and others. 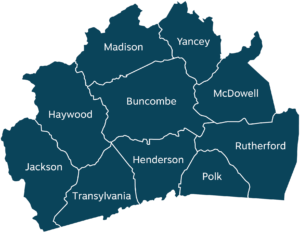 If you are a business in one of the following counties, please follow the link below to complete the survey: Henderson, Madison, Haywood, Jackson, Transylvania, Buncombe, Yancey, McDowell, Rutherford, and Polk.